﻿﻿Hands up if you’ve ever felt pressured to get something perfect to feel good about it! Yeah…. that’s almost all of us. For years, friends and family said to me: “you’re too hard on yourself“, “you put too much pressure on yourself“, “you don’t have to be perfect“. But I didn’t know any other way. It’s not that it feels good to stress and pressure yourself. It’s not that you like constantly striving to be the best and never feeling satisfied. It’s that you don’t know how else to cope with the feelings, stress, and worry. And you absolutely, 100%, for certain don’t let anyone see that you weren’t this good already. David D. Burns, M.D. 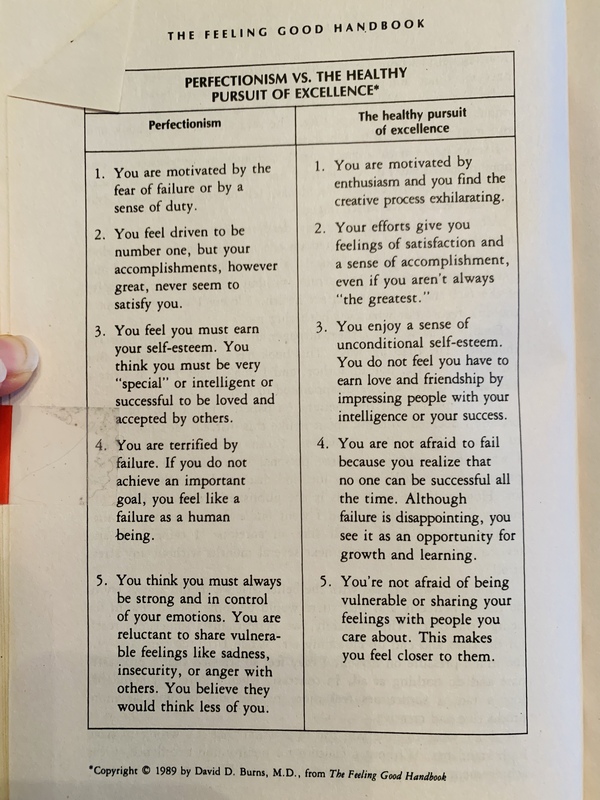 shares the following chart on perfectionism in The Feeling Good Handbook (an excellent resource on building your confidence and overcoming anxiety and depression btw). If you recognize yourself in the left-hand column, then today’s video is for you. Because, as helpful as this chart is, it doesn’t tell us how to get there. How do you release the grip on perfecting yourself? 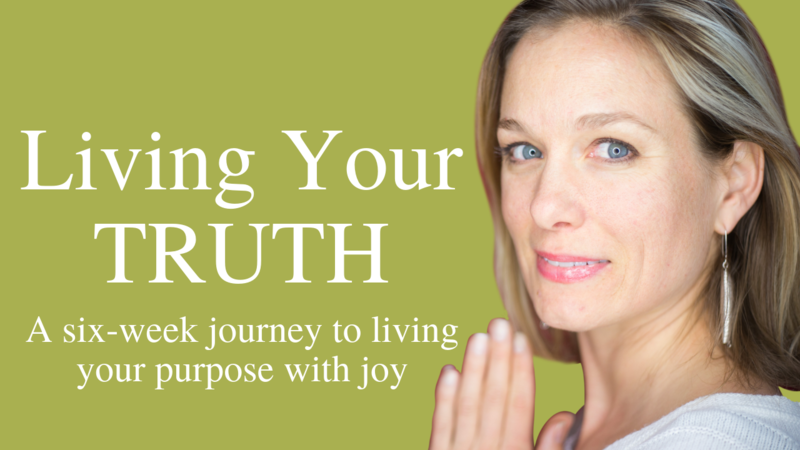 How do you start to stand confidently in who you are – as is? Most importantly, how do you deal with all this fear that you’re not good enough? 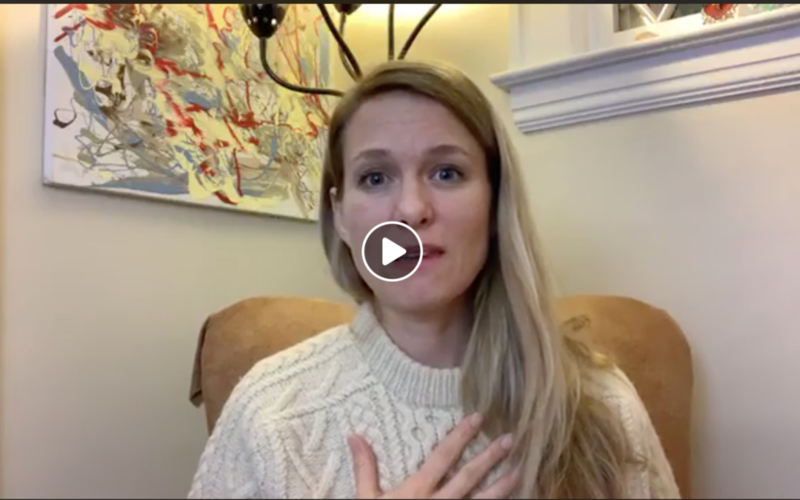 In this video, I give you 1 question you can ask to move forward – away from the stress of perfecting yourself and towards loving and accepting who you are, as you are. Curious about the program mentioned?